To be the best Electrical Contracting firm in our industry; experienced, progressive, responsive competitive, safe and on-schedule. These qualities translate into excellence and trust…The same trademarks that have carried our reputation since 1928, which supports the companies’s core values and direction that we continue to strive to maintain for our employees, vendors, and customers. Collins Electrical Company, Inc. aspires to continually improve in all aspects of our business and to remain adaptable to the ever changing business environment through continuous training in new technologies, leadership and best practice methods of installation. To maximize revenue and profit in each of our geographic and departmental groups while growing our internal resources to allow sustainable company growth with integrity. About Collins Electrical Company, Inc.
Collins Electrical Company, Inc. (CECI) is one of the top electrical construction and engineering firms in Northern California. With offices in West Sacramento, Stockton, Dublin, Modesto, Fresno and Marina, we maintain specialized focus on all commercial, industrial, and institutional markets. As an IBEW Union contractor, CECI upholds a long-term reputation for unmatched quality and excellence in design, construction and project management. In more recent years, we have dedicated ourselves to becoming a premiere specialty contractor known for thorough proposals, pricing accuracy and excellence in fast-track, design-build delivery methods. Our 24/7 service and maintenance department is in place to handle tenant improvements around the clock and manage emergency service responses for all types of commercial and industrial applications. To learn more about our projects please review our Portfolio for a detailed summary of projects we have performed in the different market segments and geographic locations. O ver the past several years, Collins Electrical Company, Inc. has ranked among the nation’s top specialty contractors, according to Engineering News-Record (ENR). To read the latest press release regarding the latest rankings, click here. Our highly trained field electricians adhere to IBEW Code of Excellence standards. CECI offers comprehensive services, forward thinking and innovation which all adds up to our clients saving time and money. In an ever-changing construction environment CECI continually provides quality, value and flexibility. With marketplace diversity, CECI is here to meet your project needs! 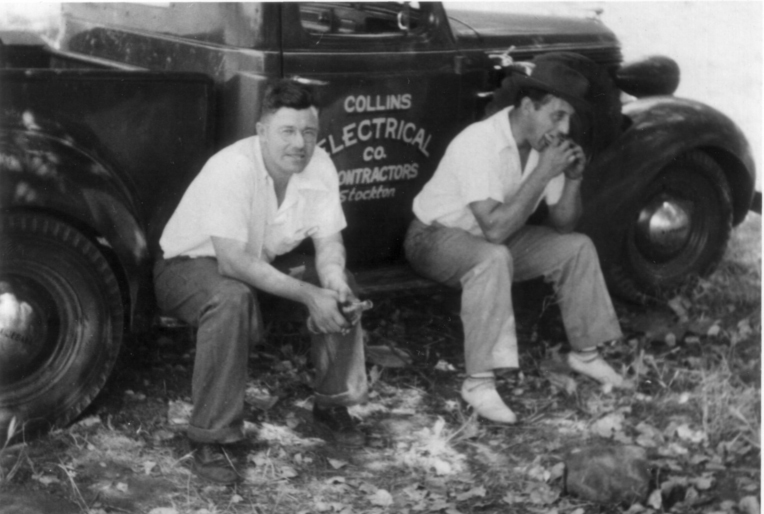 Since 1928, Collins Electrical has never shied away from an honest day’s work. Through extraordinary personal service, attention to detail and commitment to our customers’ needs, we’ve earned our place as one of the leading electrical construction and engineering firms in Northern California. Our original business philosophy, which we still adhere today, underscores our dedication to open communication, superior work and fair prices. We’ve come to learn that the more planning we do in the beginning of a project, the more successful we are in getting it done the right way, on time and at (or under) budget. Our process starts with getting everyone on the same page, including the foreman, by involving them in the project from day one and throughout the stages of pre-fab, installation, job completion and post-job evaluation. 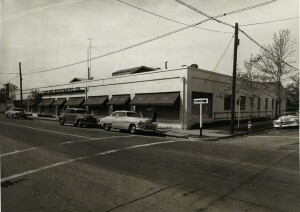 From its inception as a small electrical contractor in 1928, Collins Electrical Company, Inc. has grown into a multi-million dollar organization with six branch offices throughout California. 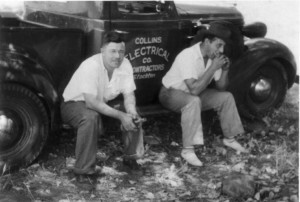 Over the years, Collins Electrical Company, Inc. has earned a reputation for honesty, innovation, customer service and overall excellence. Collins Electrical brings together innovative solutions with highly engaged teams to produce projects that come in on time and on budget. Collins builds relationships on a foundation of trust and integrity - a philosophy that has been the cornerstone of our company. To be the best electrical contracting firm in our industry; experienced, progressive, responsive, competitive, safe and on-schedule. 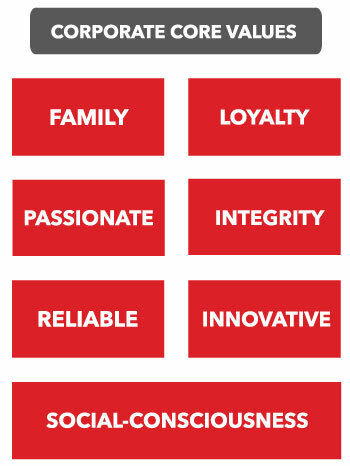 These qualities translate into EXCELLENCE and TRUST....the same trademarks that have carried our reputation since 1928, which supports the company's core values and direction that we continue to strive to maintain for our employees, vendors, and customers.